During the months of February and March, BBRSDA conducted its first ever series of Town Hall Meetings. These meetings took place in 8 communities, in Alaska and on the West Coast. The communities were selected based on number of resident permit holders. 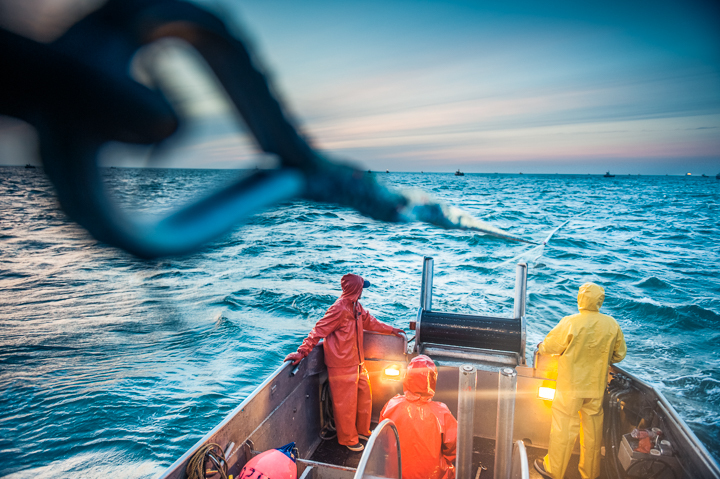 The meetings were member driven and focused, with the intention of not only delivering information to the fleet about current projects the BBRSDA is implementing, but to also provide a forum where members could give feedback and engage in frank, open discussion with their fellow fishermen. In order to steer clear of the "board room" type atmosphere, that can often seem one-sided in communication flow, these meetings were facilitated by Bristol Bay fisherman, Michael Jackson, who has supplied the board and members with a full report of the outcomes of those meetings. The meetings were incredibly informative and valuable and the BBRSDA hopes to continue this type of outreach to our members in the coming years. You can find the 2016 Town Hall Meetings Final Report here.